One of my laptops started acting weird recently. For some reason the laptop's wifi signal became so weak that it stopped connecting to my home wifi unless the router is very close. The obvious answer was to use my Android Phone's hotspot. But 4G data doesn't come cheap. As I found out later, you can also turn your Android phone into a wifi repeater or wifi extender by pairing Ubuntu and Android via Bluetooth. Here's how you do it. Make sure Bluetooth is turned ON and visible on both the devices. In Ubuntu, go to Bluetooth settings and hit the '+' button on the bottom to pair your phone. Select your device and hit 'Next'. A pop-up will appear in your Android phone asking to Pair the devices. Also hit the 'Matches' button above. 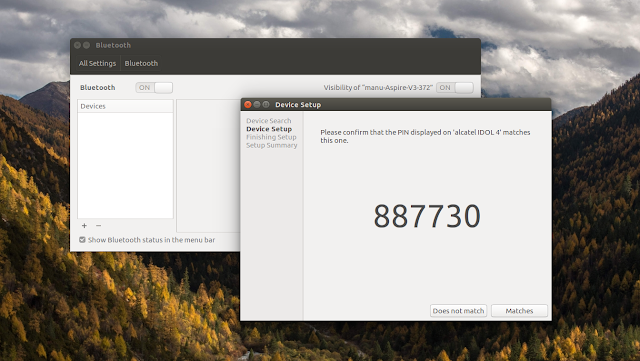 After successful pairing, you can now proceed to share your phone's wifi internet with your Ubuntu desktop. Start by enabling "Bluetooth tethering" in your Android phone by going to Settings - Wireless & networks - Tethering & portable hotspot - Bluetooth tethering. 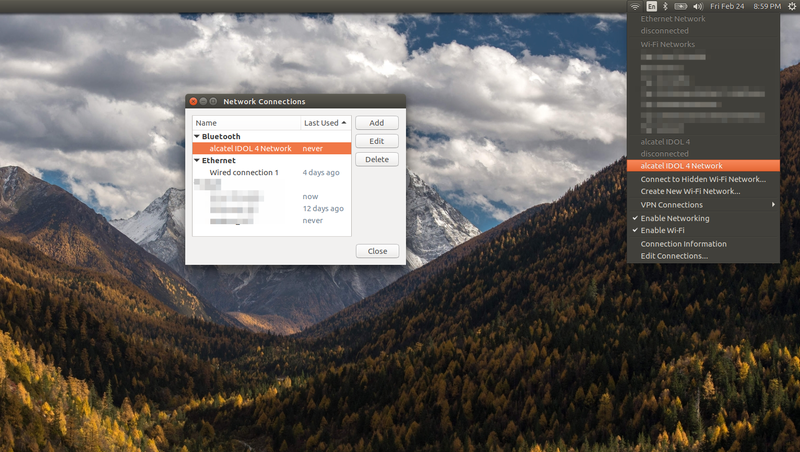 Finally, in your Ubuntu, launch Network Connections from wifi dropdown - Edit Connections. 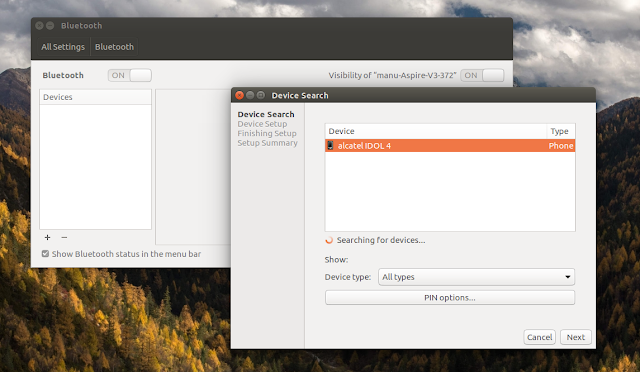 You will see a new Bluetooth submenu which you have to double-click and enable. 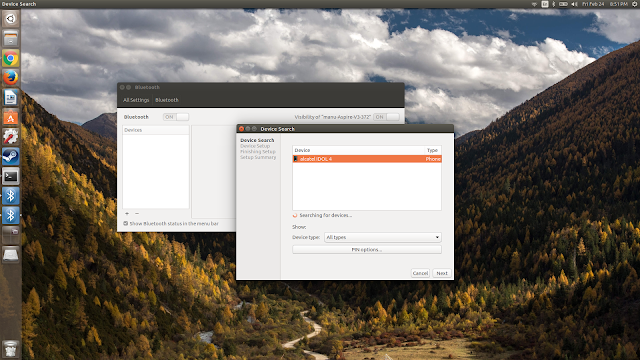 Now, simply use the wifi dropdown menu from the top panel in Ubuntu to select your Phone's network. That's it. One problem though, connections via Bluetooth tethering will be significantly slower than your original wifi speeds. Still usable, and can be reliable last ditch method to extend your wifi.